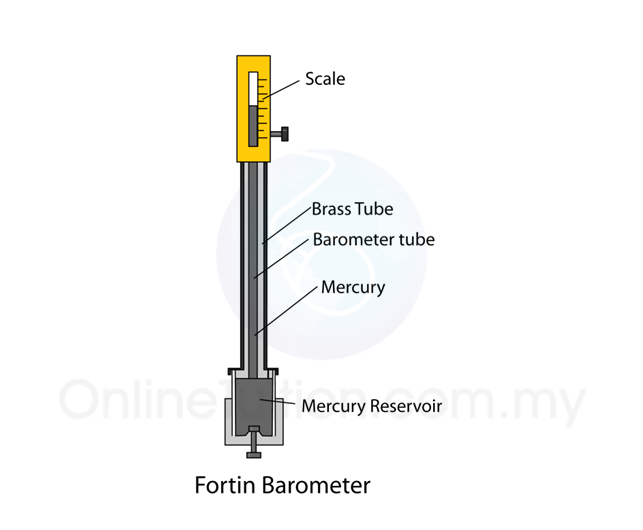 The Fortin barometer is an improved version of the simple mercury barometer. The barometer tube is encased in a brass frame. This enables it to be carried around easily. Vernier scale is used for taking reading for extra accuracy. Q: What is the advantages of a Fortin Barometer over a Simple mercury barometer? Easy to be carried around.